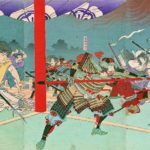 This week, we spend an entire history podcast talking about someone who may not even have actually existed — the legendary thief Ishikawa Goemon. The link to submit questions for the AMA is here. Morris, Ivan. The Nobility of Failure. Botsman, Daniel. 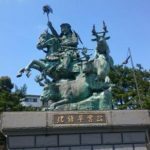 Punishment and Power in the Making of Modern Japan. 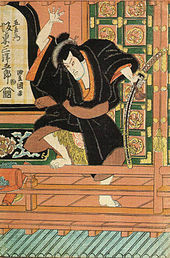 An Utagawa Kunisada print of Ishikawa infiltrating “Mashiba’s” palace from Sanmon no Kiri. 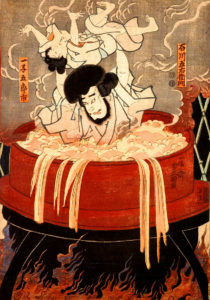 A Toyokuni print of Goemon’s death from the late Edo period. 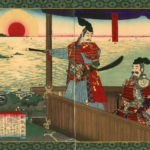 An Utagawa Kunisada print of the final scene of Sanmon no Kiri, showing the death scene. 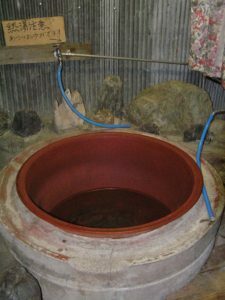 A modern Goemonburo, made of ceramic instead of metal. 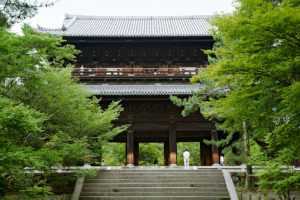 Nanzenji temple, which, to be fair, does appear to be a fairly pretty place to be boiled alive. Donate to the show via PayPal! You can support the podcast with a PayPal donation below, or become a recurring supporter via Patreon below. Thank you!